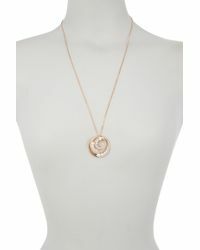 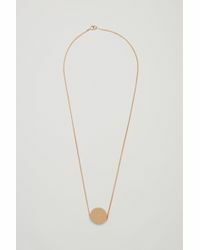 An elegant everyday piece, the circle necklace deserves a place in every jewelry collection. 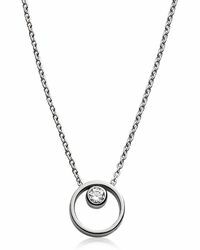 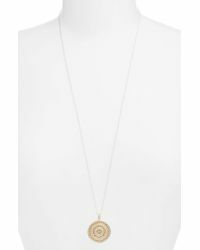 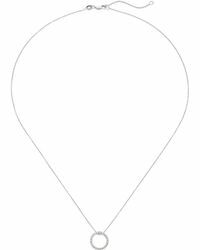 Symbolizing everything from karma, with its 'what goes around comes around' mantra, to representing everlasting love and commitment, the circle necklace has hidden meaning. 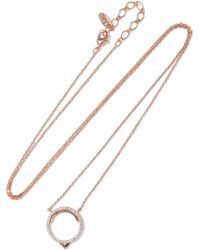 Shop the collection for necklaces accented with oversized pendants and circles embellished with diamonds, pavé crystals and tassels. 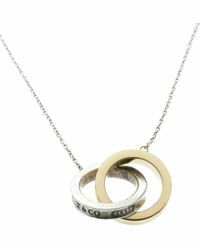 For a more understated look, simply choose silver, gold or rose-gold designs with minimal other detail.